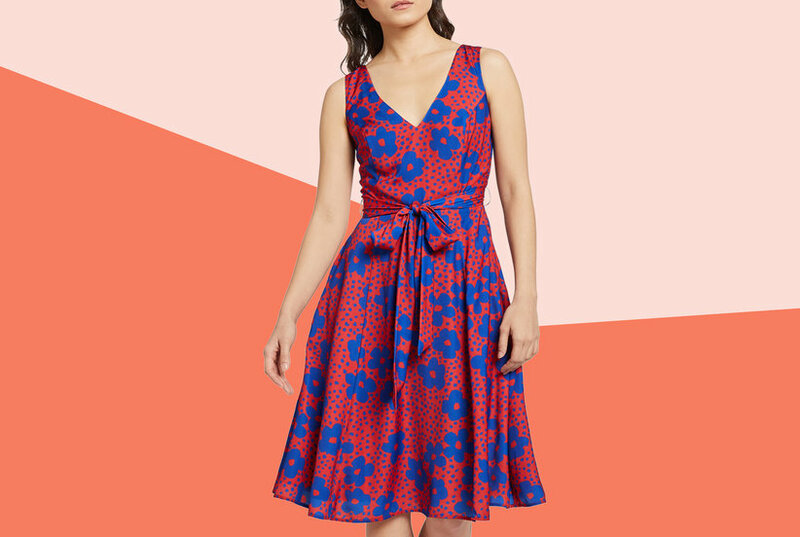 1 pc extended shoulder all over printed leaf V-Neck fit & flare cotton dress. 1 pc extended shoulder color block sheath dress with chain detail. 1 piece extended shoulder all over printed lace pleated skirt dress. 1 piece extended shoulder geo printed cotton belted fit and flare dress.